Wisdom for another Year: “The Value of a Good Reputation,” #5 of 10. The following are a few comments from sports writers over the last few days. 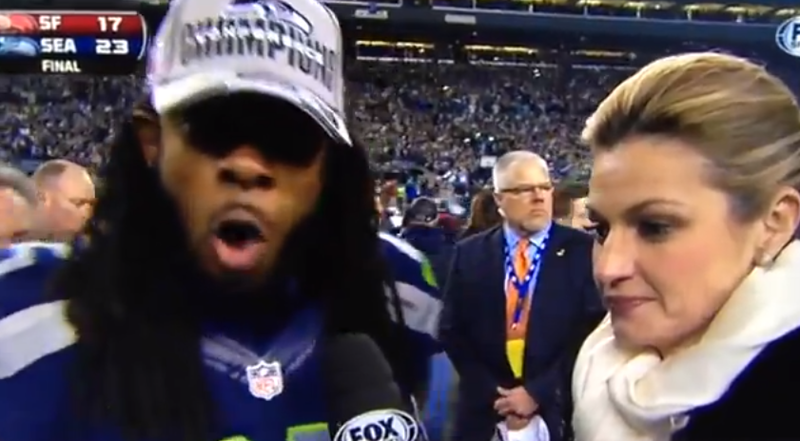 In his CNN interview on the following day, Sherman said it takes certain characteristics to become a successful football player: “It takes intensity. It takes focus.” And, he said, “it takes anger.” He said he was in that emotional state after the play Sunday. “If you catch me in the moment on the field when I am still in that zone, when I’m still as competitive as I can be and I’m trying to be in the place where I have to be to do everything I can to be successful … and help my team win, then it’s not going to come out as articulate, as smart, as charismatic — because on the field I’m not all those things,” he said. “Corporate America knows who Richard Sherman is,” said Jamie Fritz, who manages Sherman’s marketing deals. “I talked to brand managers this week and they are fired up. They love it. They say this is real. This is true. We finally have a player who is willing to speak his mind.” “He deserves all the marketing money he gets,” Hill told CNN’s Don Lemon. “My concern though is when they use this image, will they see him as an extraordinary athlete who has a knack for talking trash or frame him as another angry, violent athlete?” Fritz admits there are two Shermans: The one who stormed off the field, and the one he wants America to see. I can ruin a good reputation in 2 minutes that took 10 years to build. That’s how quickly the tongue can self-destroy a good name. And no matter the wealth and fame one may acquire for trash-talking, no one wants their name to be associated with bile. But that’s the consequence if bile is already in the heart. It’s just a matter of time before the heart will open its mouth, and out of the orifice through shining teeth comes a putrid and noxious sound. What Sherman needs is what everyone needs, including me: an inner cleansing that replaces a love for self-boasting with a love for boasting in Christ. This is what is truly valuable and attractive in the end. This entry was posted in Uncategorized and tagged Erin Andrews, Michael Crabtree, Richard Sherman by ivanjamestruman. Bookmark the permalink.